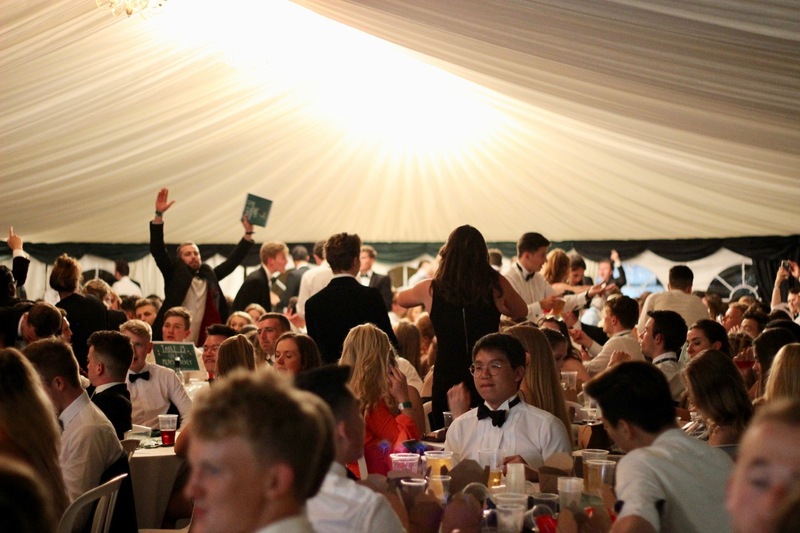 The annual AU dinner was held on 29th May. 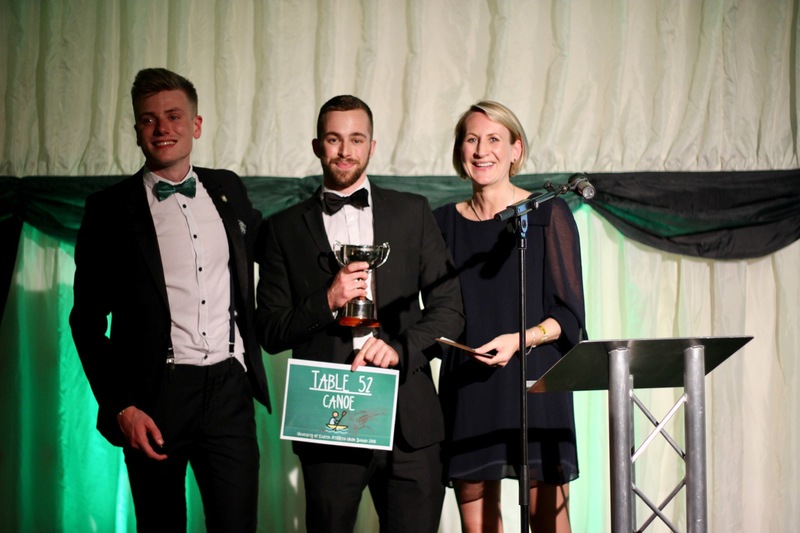 A fantastic night was had by all, and a huge congratulations go to our Captain for 2017/18 who won the AU Club Captain of the Year award. His motivation and tireless efforts over the course of the year, along with the rest of the Committee, has led to the biggest development of the club ever. We’ve expanded into more disciplines, had the largest intake of new members in September and competed at 4 BUCS events this year. His award is thoroughly well-deserved, and he’s given next year’s committee a lot to live up to! 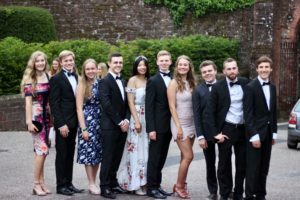 For those not acquainted with the University of Exeter, we have a saying that our university is “probably the best university in the world”, hence the title of this article. However, for now, I shall try and convince you over this two-part article, that if you have a competent organizer, or a team of organizers, you can make a great trip by following a few simple guidelines. 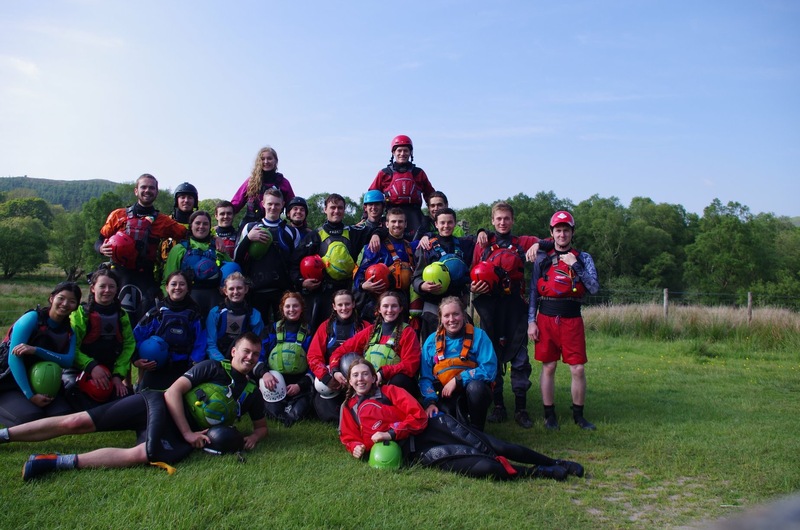 The focus will be on the trip that was conducted by Exeter University Canoe Club (EUCC) in June 2017 to Austria, Slovenia and France but the same principles can be applied to any trip with a group of 15 or more people in a club based group. 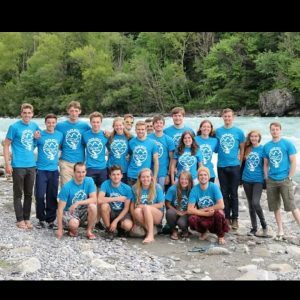 This is perfect for a university group that wants to do something different from two weeks in the southern French Alps camping at Camping des Ecrins at l’Argentiere Slalom site, but can also be outfitted to work for a city club or a large group of friends who share a common love for kayaking and the great outdoors. This segment can be skipped for the experienced European kayak road trippers; but for those unfamiliar with the Briancon region and the usual trip that universities do there, let me brief you on it. 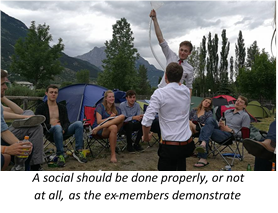 Year after year, British universities frequent the same campsite in the Alps for roughly two weeks. Logistically this is minimal faff and each year it is run in a very similar way with the main difference being the attendees. The comradery linking individuals in a chain with many twists and turns makes for a highly entertaining trip. There will be fall outs, bonding moments, exceedingly large quantities of alcohol consumption, carnage, highlights and more faff than you would expect from ordering pizza to share between 10 people. Sometimes this can be the trip of a lifetime and other years it will be a conga line of epics. Which category the trip falls to is partly due to luck, but also due to the committee running the trip. Overseeing the trip can be unfulfilling, especially if they aren’t getting paid, but I’m about to tell you that with the right team and group of attendees who are willing to trust their money to the team in the hope that the trip will be a success, you can break away from the status quo and venture deeper into the unknown. A French alps trip can be great for a few years in a row, however it can get tiresome for the experienced members. 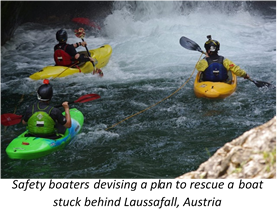 A way to avoid this is keep the trip fresh by changing it to a general European Alps trip. 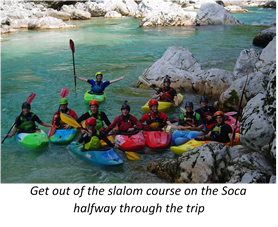 Many clubs do this by going to Slovenia and employing a coach to show them the beauties that the river Soca has to offer. For several years, Exeter have done a week in Slovenia and a week in France which is a great progression combo trip. 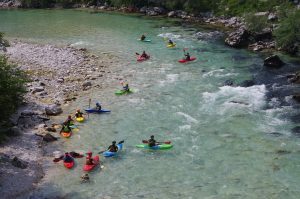 Slovenia isn’t as continuous as France and twice as stunning, a perfect way to introduce first years to the alpine club trip lifestyle. 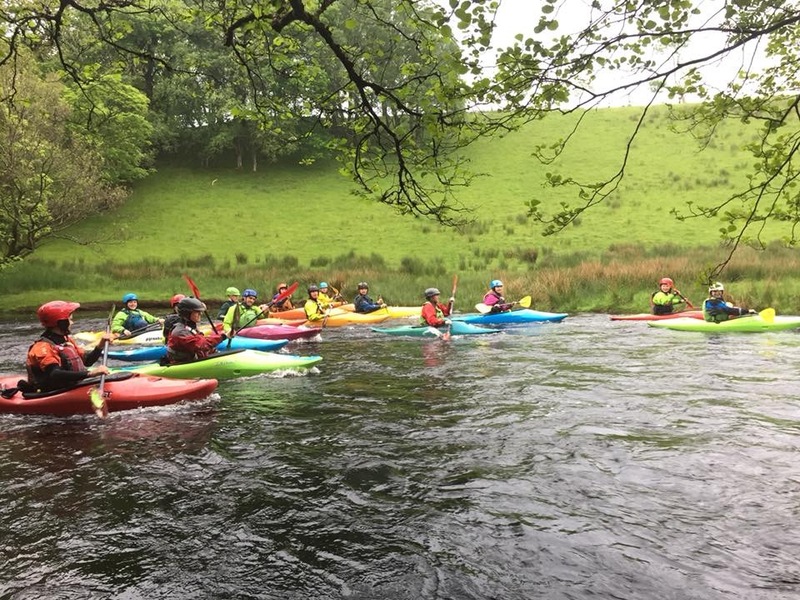 This is a simple solution to refreshing a stale trip and entices ex-students back to experience a new area with the club and their friends. If this is enough, read no further and look up the copious amounts of river guides and online resources. With these, decide if you need to hire a coach or if you can be self-sufficient within the club in running the trip. For those of you who wanted to hear about an amazing trip and how you too can run a similar trip, buckle up because it’s time to get down to business. 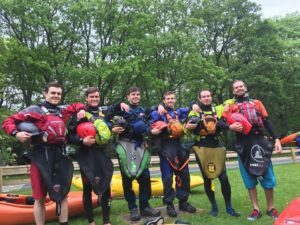 After three consecutive French Alps trips with a school club then two university trips to Slovenia then France, I wanted to do something new and exciting. I can’t take all the credit for this train of thought, as I was told that the Styria region in Austria had rivers of Slovenian style and then had help in finding an online resource, of which there aren’t many on the area, from ex-EUCC members. The little I found was a description of a river like the Soca and after a little convincing, the committee agreed it would be fun and interesting to try out somewhere new for us, as well as the recent club. Thorough research must be done before conducting a trip like this, as English guidebooks are few and far between for a region such as Styria. I found it useful to make a map of the rivers surrounding our campsite with the grade, get in and get outs and any other points of note. 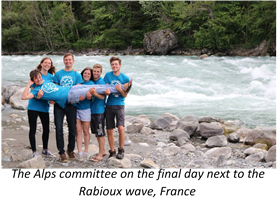 For a university club trip, you are limited by the end of the academic term when you can venture to the alps, therefore you are limited to areas that are in season around this time. A trip such as one to Pyrenees would not work in June, so research into regional seasons is also key. 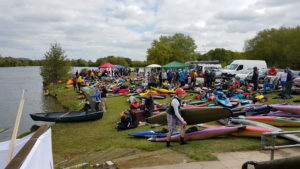 Now, it’s also potent to point out, that you can’t take a club out to an area that is way above their ability, even if “there are a few easy rivers” as this can be said about any region and is a relatively selfish move on the part of the organizers and safety if the beginners only get to paddle the same river every day for two weeks. Unlike France, Austria and Slovenia do not have the quantity of rivers that allows a university club to go out for two weeks without getting bored (although I would argue if you have the right levels and patience, both countries have much to offer in the way of a two-week progression in a more pleasant way than France can). Therefore, the only question left was, where to go after Austria? The plan was somewhat set when I found out that levels in Slovenia were very low. The plan of Austria-France was devised that would satisfy all parties within the group. This too fell through as we found out France was far higher than expected, a week before we were leaving for the continent. Sounding like a bit of a train wreck? The indecision, so close to the leave date, was stressful for a lot of the committee and caused some tensions. But as we shall see, that indecision was a crucial trait that would benefit us as the trip progressed. Setting off from Exeter at 8am, we arrived in Austria 23 hours later, so we decided to go for a paddle. With grumbling and complaining from the whole club, we got on a gentle, yet scenic, grade 2 section which left the majority of people smiling for the rest of the day. 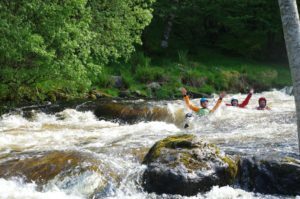 For the two consecutive days, we slowly upped the difficulty of river to settle people into the alpine life style and remind everyone it’s not a race of ability progression, but a holiday for everyone to enjoy. What many experienced members will say is that they paid for a holiday and not to supervise everyone else having fun while they suffer. 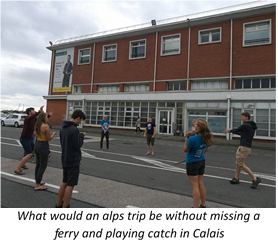 This is a great point, but at the same time, it is the job of experienced members to ensure everyone has a fun time so the future club alps trips are manned by a committee that have fond memories of their first alps trip. 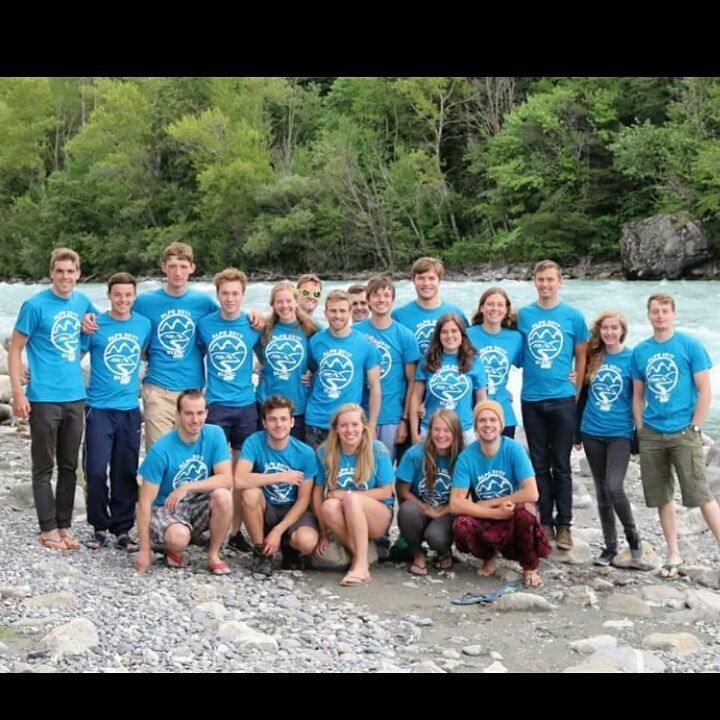 Almost everyone who goes to the alps will say that their first trip out there as a novice was their best experience, as there was no pressure or responsibilities on them and subsequently, their rate of progression was the strongest. For this reason, the committee of a complex alps trip needs to be proficient in the type of trip you want to run. Docking at Calais, heatstroke persisted as we continued the second stint of our journey. As the vehicles in the convoy raced for first place, there was a slight descent into madness as we realised it was still a crazy long way off! As night fell the lucky among us had a nap whilst the rest of us tried to navigate across Germany, some succeeding better than others *cough* bus and car *cough*. The graveyard shift started and progress was happening in a steady fashion. We crossed into Austria circa 4am with the final shift underway (after a couple of petrol stops and a to attempt to buy vehicle vignettes in German), the phrase “I don’t want to be that guy, but how far away are we?” became increasingly more common. The answer, 2 hours later, proved to be correct as we cruised into the campsite at 6am! Although many refer to this day as day 1, it was in reality just an extension of day 0 due to the complete lack of sleep or any notion of when day had become night and day again… No sooner had we arrived at the campsite and set up our tents, we left for an early morning paddle down a gentle grade 1/2 (everyone’s favourite) “It was lit”- Hammo 2k17. Apart from the time that Ivan tried to get into an eddy realistically only suitably sized for the one person already in it and binned himself in the process, there were no rolls or swims. Following this we went shopping for food, cooked, then went to bed for an early morning start. 4.00-7.00 Adam and Chris annoyed everyone by bragging about how dry their stuff was ? We arrived in France at 7.25am, tired and very warm, ready for an exciting day of….sleeping in the sun and eating food. Some of safety ran the section above the slalom course before lunch, whilst the rest of us chilled and went to the supermarket (or Supermerché if you will, clearly I should have done French GCSE.) After this a few of us went to the flatwater slalom course to paddle, swim, and float around in inflatable donuts and flamingos donated to us by the other universities. This was followed by some frisbee, handstands, and a crash course in handstanding 101 courtesy of yours truly. Once we went to bed another thunderstorm occurred, however we had all learnt from the previous experience and properly pegged our tents down. 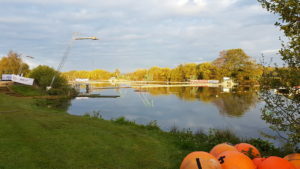 This day started nice and early with a morning wakeup call from Brearley asking if we wanted to paddle on the Slalom course. Thankfully only a few people were keen, which was foreshadowing really as the course was closed anyway… Instead we ate breakfast before leaving with the least club-faff I have ever seen (we deserve a medal) to paddle the upper and lower Guisaine. 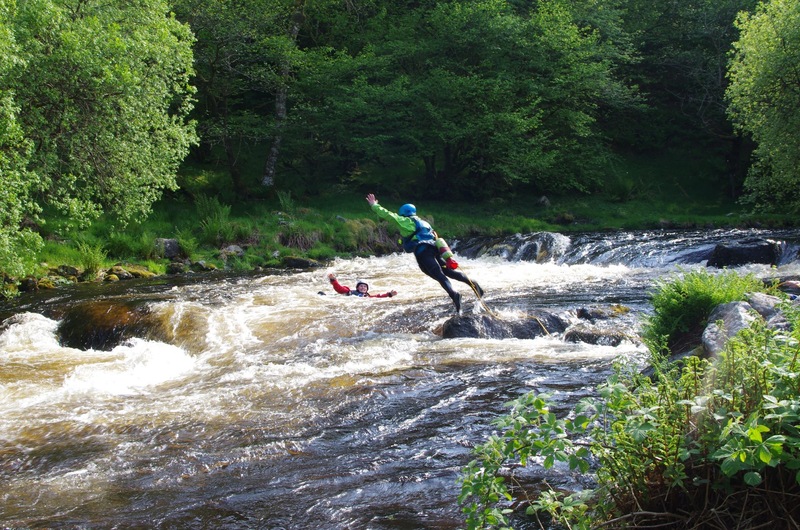 This river was super wavy and quite bouncy, creating its fair share of fatalities from assorted fresh due to the shallowness of it meaning that once you were over there was no rolling back up (this river takes no prisoners.) An intense army drill style eddy out before the S-bend led us to go and scout this feature. Some people portaged this whilst some of us ran is *INSERT FANFARE IN PREPARATION FOR A RARE MOMENT OF ME BEING SERIOUS” As someone who is a well known nervous paddler, I want to take this opportunity again to thank Felix and Alex A for talking me into running this feature even though I was about to be sick, and for supporting me all the way down. 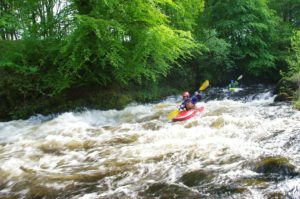 It might seem like a small thing that you two did, but it has made such a difference to me/my paddling, by doing this section my confidence in my own river running skills has increased and my nervousness decreased, so thank you both ? *INSERT FANFARE FOR END OF ME BEING SERIOUS*. We also managed to get some sick photos, curtesy of Sam Rice. A swim from Crouch led him to go and run this section again, without telling anyone…2 weirs later and we got off the river to eat lunch and for safety to run the lower, whilst the rest of us napped. We then went to run the Briançon gorge, resulting in a semi-carnage run (a few swims, a couple of pins, and a concussed Swales.) The day finished with Ready Steady Cook, featuring some very questionable foods being served, such as a full quail, “peen”, deep fried leek and egg, and 5kg beetroot. Congratulations to my group for winning! Some late-night star gazing and socialising and we went to bed. – Overall it was a mess. Those of us keen enough went and ran the Fournel, a river equivalent to the boofy river in Austria, whilst the rest of us headed to Briançon to try and pick up more paddles and some more food. After a quick lunch we then headed to le lac for some chilled swimming, diving, jumping into the water, and general sunny fun-ness. 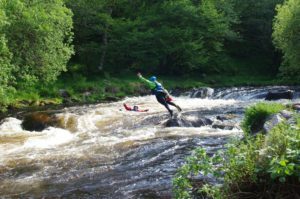 After this the safety team plus Florrie and myself (I like those safety ratios) went for a quick paddle of the Guile, a sick grade 3+ rapid with a cheeky weir in the middle. Here unfortunately is where I stopped writing in the log book, so everything from here onwards is entirely from memory, apologies if it is inaccurate. This was our last full day paddling in the alps *cry*. Unfortunately I was not able to paddle on this day, so what the river was like I have no idea, but Ella managed to break another paddle (hence her nickname …………….) Whilst the others paddled I followed a different tributary up the mountain, draped in James’ hoodie and Adam’s coat (it was super cold up at the top), going past a riding school, through some foresty and fieldy bits, and climbing up parts of the side of the mountain as there was literally no other way up (which was fine on the ascent but I may have caused a small landslide on the descent)… When the others go off the river it started raining so we bundled into the vehicles and some people went off to do another river whilst the rest of us went back to camp to shower and eat. Afterword: I just want to say thank you again to all of you who were on this trip or to those who helped make this trip happen, I honestly think I can say it was the best holiday that I have been on, and not just during alps but since September every single member of EUCC has made we feel welcome and part of the group. The comradery between everyone and the way that everyone is always looking out for each other and willing to help each other is just amazing, and I am so grateful to be a part of this. Thank you everyone, you are all heroes and I am very glad to be able to call you my friends! Wahey, we made it! 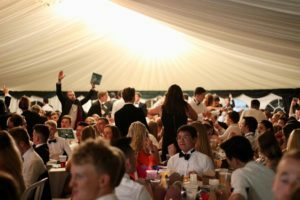 The Polo event of the year, British Universities and Colleges Sport Canoe Polo Championships. 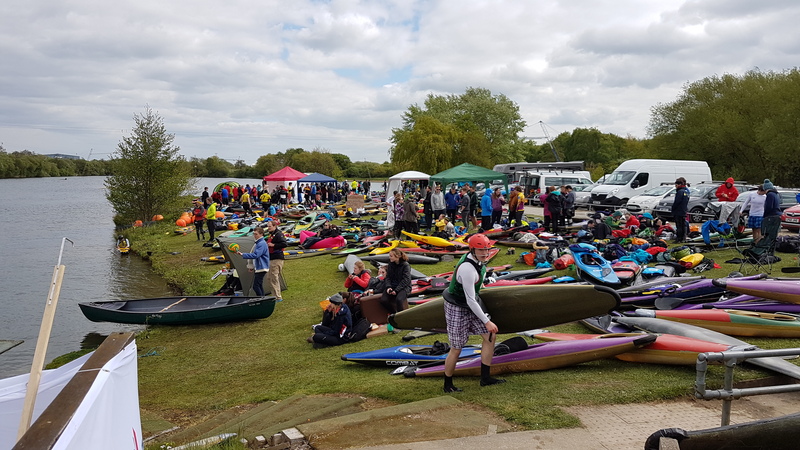 The event was held this year in Holme Pierrepoint, a 5 hour drive from our home ground. Team Bus met at the cave at 12.00am on Friday 28th, ready to load up the bus with the boats, kit, and camping stuff, then hit the road relatively quickly (if you ignore the time taken to stop off at Sainsbury’s for barbeques and food.) Those of us in the front (Sab and Myself) were treated to a free driving lesson on the perils of driving on motorways; “DOUBLE! !” before Adam stalled and a lorry driver glared at him. 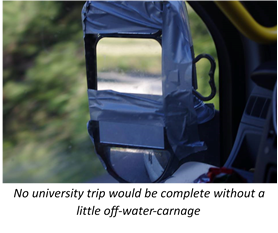 Some dubious and rather questionable jokes from Hammond and top notch banter from the back row, and we made it to Nottingham in one-piece, despite the emergency stopping of the bus a mere 10m before parking so people could dash to the toilets and pee. After this we set up our tents and got our kit scruntineered (no issues there then… ), before lighting a barbeque, eating, and settling down for the night. The open team got off to a 5.45 am start on Saturday and were on the water 45 minutes later to put in some good practice before their first game against Warwick at 7.00. This game was an intense one, ultimately resulting in a 4-0 loss. However the true steel and grit of our players really came to play after this match, despite being placed in the bottom half as an outcome of this preliminary match, over the course of the weekend they rose through the league tables. Cheered on by a horde of screaming girls, a nail bitingly close match with Liverpool (coming down to golden goal) and Bath resulted in us placing 16th out of 29, a 12-place improvement on the previous year. 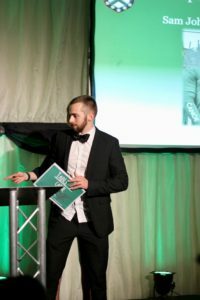 Unfortunately after all my hype in the SW Uni final review about BUCS, I managed to trip over my own feet and break my foot the week before BUCS. Encased in a very fashionable but rather oversized leg boot, I was physically unable to fit into a boat, rendering me a little useless to the team. Thankfully Swales stepped in to save the day, and completed the team. Unfortunately, the ladies pitches were 100 miles (…or 20 metres) away from the viewing area so it was a little hard to watch what was going in these matches, however from what I could see the ladies team played very well, winning matches against Swansea and Teeside, alongside some close losses. Overall the Ladies Team came 21st, which for a team that was formed 2 months ago is a massive achievement, and shows huge promise for the future. At the end of the weekend we packed up our stuff, and after a quick vote for next year’s team captains, and a round of goodbyes, we began the long drive back to Exeter tired but proud. Thankfully this is not the end of polo for the year, as plans to compete in London in the summer are underway, and despite exam season training continues so we can come back even stronger next year!